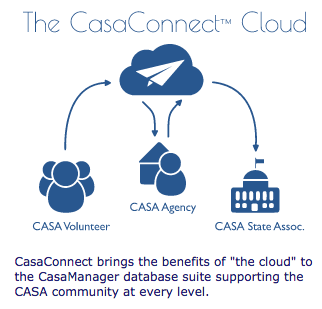 CasaConnect™ compliments CasaManager by connecting the CASA Community using the Internet and the cloud to solve challenges for all parties working in and with CASA Agencies. Read below the respective challenges for each interested party and the solution that is provided when all parties leverage the power of CasaConnect. Challenge: Getting Volunteers to submit case, VOCA, independent training, and non-case related hours is challenging. Solution: CasaConnect enables Volunteers to submit case notes, case hours, non-case related hours, independent training hours and VOCA hours from any device that connects to the Internet. Challenge: Government agencies and the National CASA Association consider volunteer hours evidence of CASA impact and effectiveness. Accurately reporting volunteer hours helps to secure and protect Local, State, and Federal funding for our CASA program. Manually entering hours for each volunteer into a database is time consuming and tedious. Producing monthly, quarterly, annual reports for State and National CASA is time consuming and tedious. Solution: With CasaConnect, case notes, case hours, non-case related hours, independent training hours and VOCA hours are automatically downloaded into the central CasaManager database –– no more manual entry is needed by staff members. Raw statistical data is uploaded “to the cloud” on a daily basis. Reports can be created online by members offloading report demands made by board, State or National CASA. Challenge: Getting reports from individual agencies in a timely manner is challenging. Having no access to raw data for impromptu reports that may be needed. Monitoring agency data entry is currently impossible. Solution: CasaConnect provides access to up-to-date statistical data. The flexible report menu enables the State to retrieve statistical reports from one, some or all CASA Agencies using CasaConnect. CasaConnect has allowed our CASA program to offer Advocates a “current day method” of submitting hours and documentation that is convenient and saves time for both the volunteer and the CASA staff! Volunteers enjoy the freedom to enter hours and notes from any electronic device at the time the task is completed. CASA staff no longer spend several hours at the end of each month entering the data themselves. Because it is so convenient, we find MORE hours are entered, and volunteers submit the information by the due date each month with less reminders! 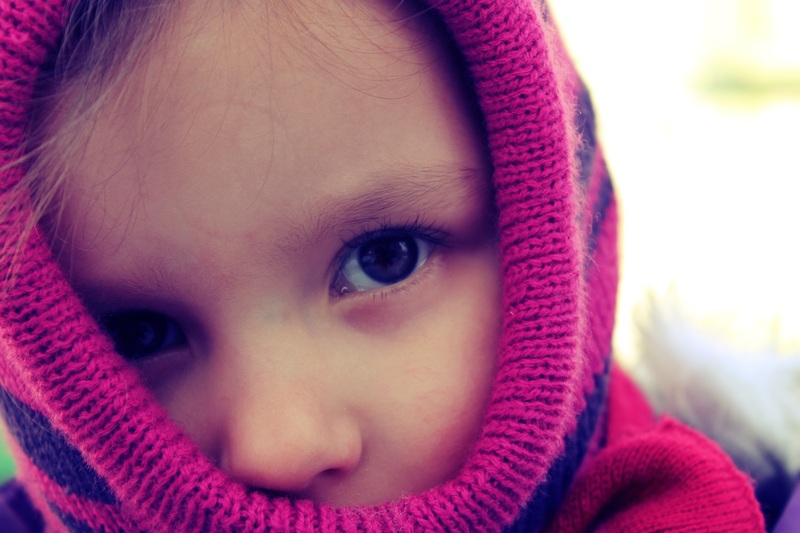 CasaConnect gives our CASA Advocates and Staff more time to do what we do best–serve abused and neglected children. Data is refreshed daily so it’s always current. Whole process is automated – nothing extra for staff to do!